China's online game market is breaking sales records year-on-year in the world's most populous nation. In 2013, this market alone is poised to make over $11 billion, according to Gameindustry.biz. But which are country's favorite online games? Let's take a look. Left without a console market due to the exorbitant prices of consoles (and a console ban), many Chinese players turned to online games, many of which can be played in internet cafes. The following list takes a look at five of China's top MMO's. This list is comprised of a mix-match from polls found on Tencent and NetEase, two of China's largest internet companies and game publishers. The following list only includes one game that isn't wholly Chinese. This list is also in no particular order. The only game on this list that's not exclusively made by a Chinese company, League of Legends is hugely popular in China. Basically a similar game to Defence of the Ancients, LoL is a hero battler mixed with tower defense. This is arguably the most famous game on this list so I won't bother insulting anyone's intelligence by poorly explaining what a MOBA is. 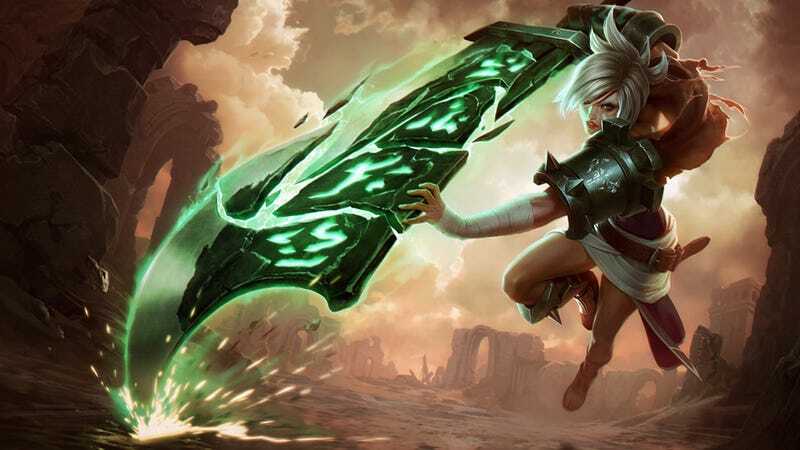 The other reason why LoL is on this list while all the other games are Chinese made is because Chinese internet giant Tencent has a major stake in developer Riot Games. Originally released in 2012 as an open Beta, Long Jian was supposed to be NetEase's answer to "next-generation" graphics. The game's system was supposed to have high dynamic-range rendering akin to that of Unreal Engine 3. The game is very similar to your basic MMO like World of Warcraft but based in a romanticised mythical East Asian world. Tencent's cutesy kart racer is Tencent's answer to and clone of the ever popular Korean cart racer PopKart. This game is incredibly popular for its level of customization. Players can customise their avatar and their karts, either by winning in-game currency or trading real money for Tencent's QQ Coin currency. Probably the oldest game on the list, Fantasy Westward Journey is cartoonified rendition of the world of "Journey to the West". The game has been so popular that at one point the amount of money it made off of micro-transactions brought it the attention of western media, such as Forbes. The game is still going strong even though it's been around since 2004. Using Louis Cha's martial arts fantasy novel Demi-gods and Semi-devils as the background, this martial arts-based MMORPG has been around since 2007. The game, while looking and playing like every other Chinese MMO, has been on the best lists of Chinese online sites for many many years. I personally don't really understand why, but Chinese gamers seem to consider it one of the greats.